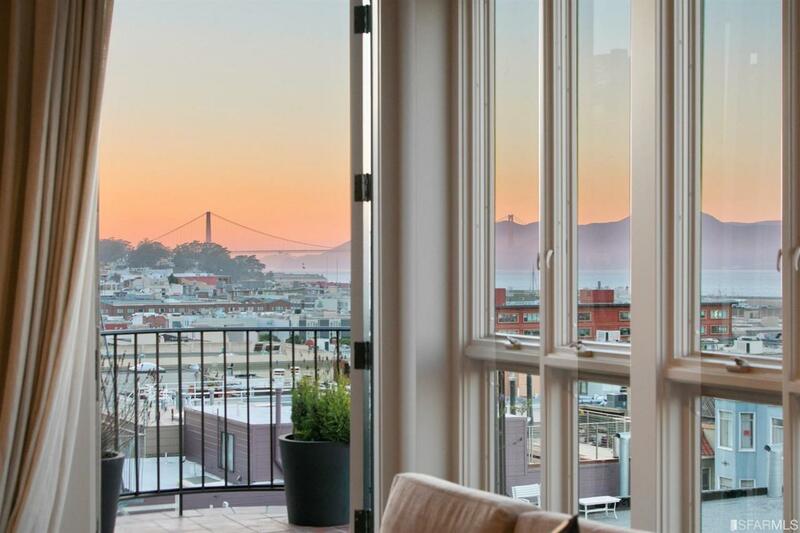 Situated on the slope of iconic Telegraph Hill, this house-like condo boasts 4 levels of luxury living. Designed & remodeled in 2016 by Chroma,the high-end finishes and state-of-the-art design maximize the space and accentuate the stunning Bay and GGB views.Enter into a stunning foyer which has wine cellar,ample closets & storage.The 2nd level has 3 bedrooms,spacious bathroom w/stunning marble, GGB views,laundry,private balcony.The main level has soaring ceilings w/grand living, dining & gourmet kitchen. Light floods in from two walls of windows and enhance the views. 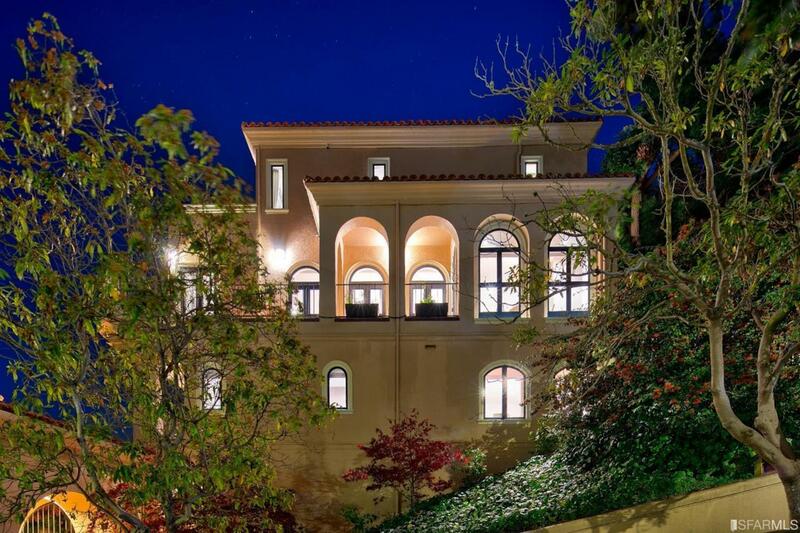 The top level has expansive master suite w/ library,stunning master bath,large terrace. Hardwood floors,Calacutta marble,2 car pkg,storage,elevator,2 fireplaces,security. Listing provided courtesy of Gloria Smith of Sotheby's International Realty.